Tour operators and hoteliers have been urged to work with communities around national parks to help them improve their household incomes. Edwin Sabuhoro, the Rwanda Eco-tours founder, said if tour firms and hotel operators empowered people around parks to grow vegetables like tomatoes and cabbages and sell them to the companies, it could help cut costs. “Some hotels buy vegetables from Kigali, but communities neighbouring the parks can be helped to grow them and supply the hotels. This will expand their income streams,” he said. Sabuhoro said Eco-tours started ‘Iby’iwacu Cultural Village’ in 2007 to create income-generating activities for the rural people around the Volcanoes National Park using such a concept. He said the rural folks today provide some of the tourism products. “They perform cultural dances for tourists and prepare Rwandan cuisines among other recreational activities, earning an income from the tourists,” he said. The visitors part with an extra $20 to enjoy the services after trekking gorillas. “This village has not only developed community-based tourism and turned the locals into entrepreneurs, but also changed the traditional perceptions of tourism in Rwanda,” he explained. Leonadis Barora, a former poacher and now an inspirational wildlife conservationist, said his life was transformed because of the community-based initiative that helps them solve their problems. “We were poor and had no food for our children; so we turned to poaching for survival. But that has now changed, thanks to ‘Iby’iwacu Cultural Village’,” he narrates. Sabuhoro believes such village initiatives are timely, saying it will boost the country’s tourism receipts further. “The private sector has to do more for communities from where they operate. It is their responsibility to improve these people’s lives,” he noted. Rwanda’s earnings from tourism rose to $71.5m in the first quarter of this year from $70.5m over the same period last year, according to the Rwanda Development Board. 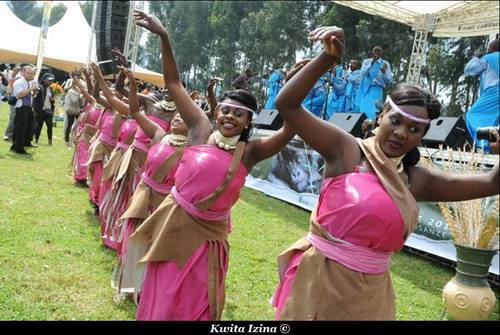 Rwanda is targeting income from tourism to grow to $440m in 2014 from a projected $317m this year and $282m last year.